Tucked in the Santa Cruz Mountains which frame the Central Coast of California and the Santa Clara Valley, also known as "Silicon Valley", is a retreat house and priory whose history tells a story of restoration and dedication to the mission of the Catholic Church. What began as a modest chapel in a small local chapel in the heart of San Jose, CA transformed into a Retreat House, Priory, and Chapel that has served thousands of people from all over the world since the 1970's. The current chapel of Our Mother of Perpetual Help was purchased as a replacement for the original parish, Our Lady of Perpetual Succor. The original parish was located in Campbell CA, which was founded in 1975 and run by Fr. Gregory Post, one of the first priests ordained by the SSPX. 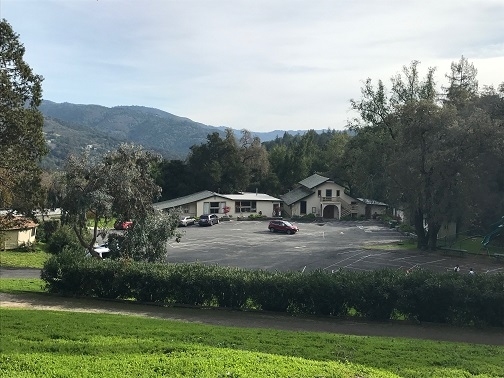 A new city center layout for Campbell was being planned which would require the movement of the Our Lady of Perpetual Succor parish, and so it was decided to expand the chapel via relocation and to sell the Campbell property to the city once the new Los Gatos property was ready for use. The current property, purchased August 15th 1991, was up and running in 1992 -during which year both chapels were active- and was purchased from a couple who was using the property as a Christian campsite. It was discovered by a parishioner who recommended it to Fr. Peter Scott, who was the District Superior of the USA at that time. It came with the cabins already built as well as a two-story barn which had been put to use as a conference hall. Once the sale of the Campbell property became imminent, a larger chapel in Los Gatos needed to be constructed. Up until that point, the building next to the barn had been used as the temporary chapel, and since permits were nearly impossible to obtain, it was decided to convert the barn into a chapel. Concrete was poured as a floor and the second story, then a hay loft, was converted into a choir loft. 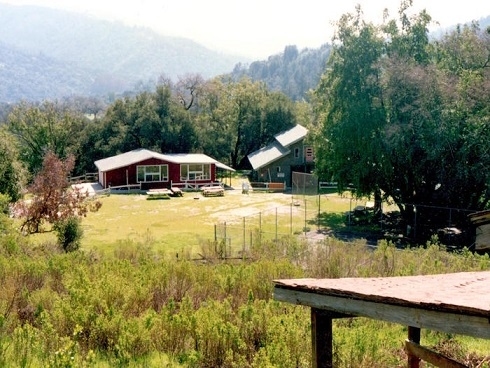 The new retreat center, being such an idyllic location, provided the SSPX the opportunity to begin offering Ignatian retreats on the West Coast of the United States. The priests of the SSPX did not stop with providing Retreats, within a few short years they began hosting summer camps for both boys and girls on the property. The summer camps, still held every year, brings nearly 70 boys and Seminarians to Los Gatos for about 2 weeks in the middle of summer and nearly 40 girls for another week. The summer camps have become a favorite of Catholic familiies from all over the United States. After the chapel, the next major renovation was that of the main house and priest’s quarters, which were over 50 years old at the time of purchase. Fr. Coenraad Daniels oversaw the installation of the Calvary scene in 1992. Over the years other landmarks such as a nativity scene on the hill facing the chapel, the Way of the Cross by the “St. Michael’s Mile” trail and the grotto waterfall were added. Under Fr. Emily’s leadership, the chapel underwent yet another renovation which included, most noticeably, a new paint job, low rock walls and planters around the parking lot, and the addition of a tiled floor in the Chapel. In 2015 under Fr. Asher's management, the hiking trail leading to “God’s Window” was given a set of stairs and a balcony overlooking the view of the mountains. In 2016, a milestone project was the addition of several side altars which provides space for many priests to attend retreat at the same time. Today, you can see the property truly transformed from a rugged retreat facility to a serene place for prayer and meditation.